Main Message: DiStefano Jaud Architecture offers expertise in civic recreation projects, schools and health care. Our background includes multi-functional civic recreational centres such as the renovation to the Vernon Recreation Centre, Westside Recreational Centre and the Talisman Centre in Calgary as well as the Dow Centennial Centre in Fort Saskatchewan. School projects such as the Coventry Primary, the Bearspaw K-8 school and the Crofton School. Health Care project experience includes the Rockyview hospital mental health unit and the Ophthalmology clinic as well as involvement in a variety of MRI clinics across the country. These all serve as background for our institutional project experience. DiStefano Jaud Architecture offers expertise in civic recreation projects, schools and health care. 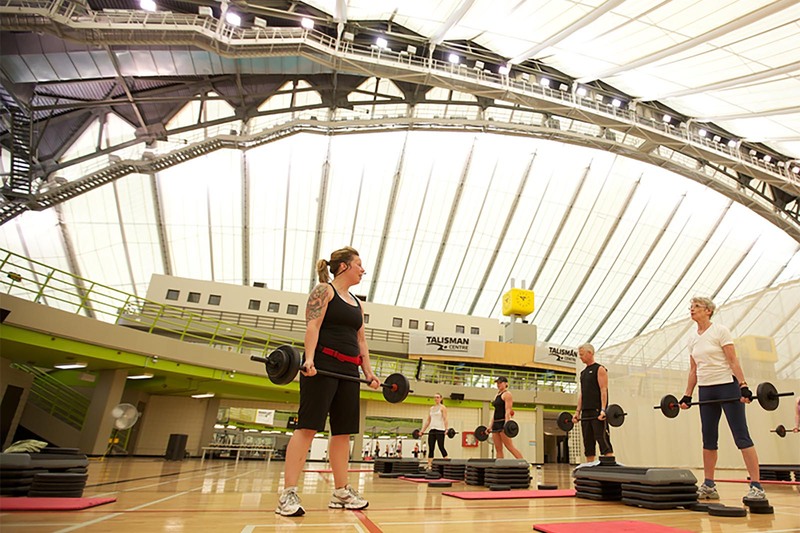 Our background includes multi-functional civic recreational centres such as the renovation to the Vernon Recreation Centre, Westside Recreational Centre and the Talisman Centre in Calgary as well as the Dow Centennial Centre in Fort Saskatchewan. School projects such as the Coventry Primary, the Bearspaw K-8 school and the Crofton School. Health Care project experience includes the Rockyview hospital mental health unit and the Ophthalmology clinic as well as involvement in a variety of MRI clinics across the country. These all serve as background for our institutional project experience. Institutional projects require an intensity whereby the designer working with the client’s focus team is able to drill down to the essential aspects and priorities that will inform the design and bring about solutions that meet or exceed expectations. The design of these projects is highly dependent on functional requirements and strategies for efficiency and effectiveness. In the health care field this includes measures for and sensitivity of infection control. Recreational projects require strength in functional programming and space planning where the designer brings the assembly of spaces into a meaningful and functional whole. Public safety and security, hygiene and spatial relationships to achieve rational movement of the public through the facility are design factors that must be integral to the design. With any complex project having a well-knit team is critical. We have formed strong relationships with a variety of sub-consultants on which we draw to form our multi-disciplinary teams for larger Institutional projects. This familiarity of team members allows us to create well-knit teams for all variety of projects. We have the ability to tailor our teams to suit the nature of the project and provide the required service and expertise. We focus on building relationships: We will be part of your team for the duration of the project and beyond. We strive to build community pride into all our design. DiStefano Jaud Architecture is a dependable project partner focused on providing quality: On time, on budget, and with the client vision realized.